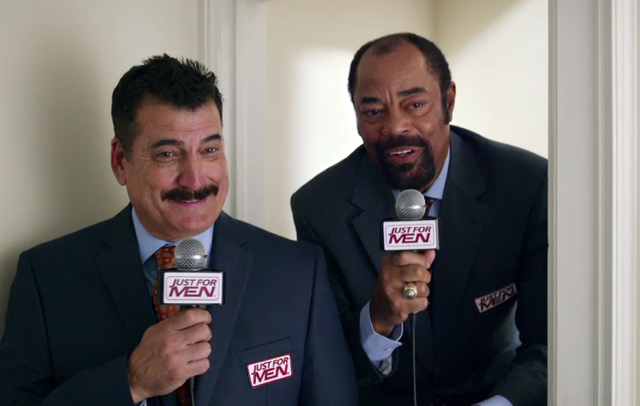 Cutting Room editor Chuck Willis enlists the help of former pro athletes and current sports commentators Keith Hernandez and Walt “Clyde” Frazier to stop a graying man from accepting his beard faux pas in the humorous :30 “They’re Back” for Just For Men out of Combe. The spot features the duo of broadcasters embarking on a mission to fight graying hair, overtly following an unsuspecting man on his daily exploits while making a slew of unsolicited remarks on his unimpressive beard. After excessive critique, the man ends his day by reviving his dull beard with an evening Just For Men application. Unfortunately for the man and his wife, Hernandez and Frazier are all too reluctant to leave once their job is complete.